As with any insurance policy, there are exclusions to your cover. It's important that you understand a few common-sense rules for using Car Next Door cars. You may not drive for Uber, other rideshare services or Uber Eats or other courier services in a Car Next Door car that you have borrowed. You may drive your own car for rideshare or courier services as well as listing it for rent on Car Next Door, however you will need to have separate insurance to cover any rideshare or courier activity before you list it on Car Next Door. 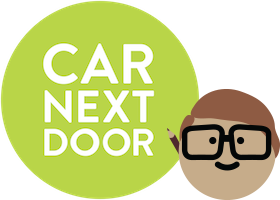 Car Next Door's insurance will not cover you if you carry passengers or property for hire, fare or reward. Our comprehensive insurance doesn't include coverage for personal items in the car, for Owners or Borrowers. If your belongings are lost or damaged while in a Car Next Door car, unfortunately we won't be able to arrange replacement under our insurance policy. We recommend Owners don't leave anything valuable in their cars, as personal items aren't covered by insurance. If you have contents insurance, you may be covered for items that go missing from your car under that policy. Some policies include coverage for items away from home, so contact your insurer to check. Please note: this is a summary of the exclusions listed in the Member Agreement, for your convenience. If there is any difference between this summary and full terms set out in the Member Agreement, then the Member Agreement will prevail. Please provide direct link to the section of Member Agreement which contains all details. Good point Ehsan - I've added a link. The relevant clauses are no. 9 and 10 in the Member Agreement. Thanks for prompt response, this is much more helpful now. My house is on an unsealed street in Aireys Inlet. Am I insured if I drive the car to my door? There are numerous off-road/SUVs on Car Next Door, yet we cannot drive a borrowed car on unsealed roads, most of which can be safely driven on with any normal car. I find this rather strange, and also limiting.